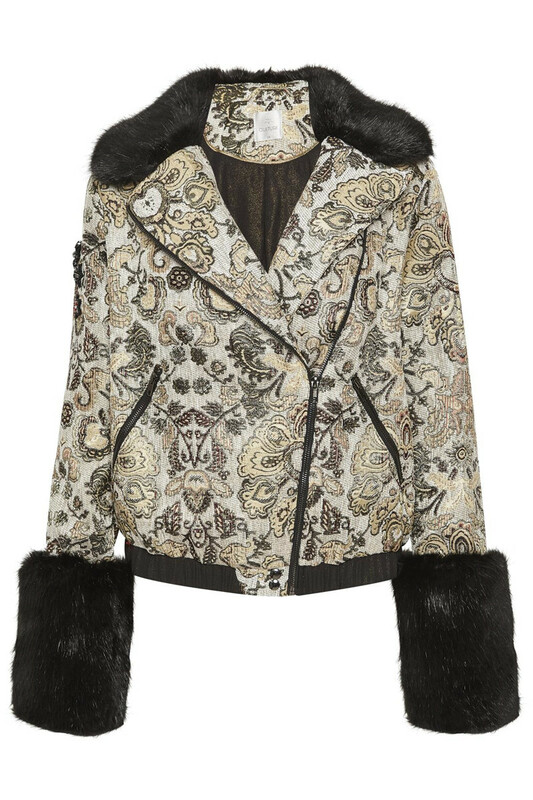 Short jacket with a unique look and faux fur elements. 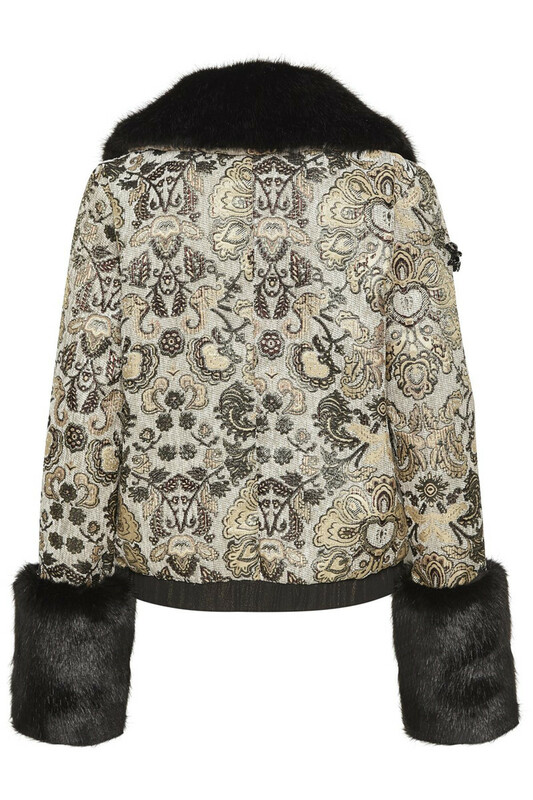 This jacket has faux fur at the collar and the at sleeves, but with the clever detail, that the faux fur can be pressed on and off, on the sleeves - as desired. It has zip fastener and zippered pockets on the front. 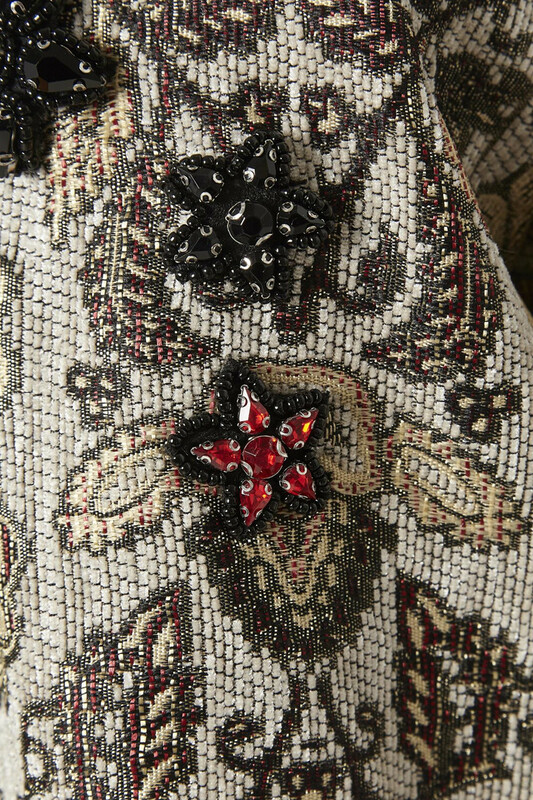 The jacket has a regular fit and, it has an artwork of beads on the shoulder.